VARTA Promotive delivers maximum starting power to get your fleet out on the road quickly, even in extreme weather. These batteries are also zero maintenance, so you can keep your vehicles working longer, saving substational amounts of time. 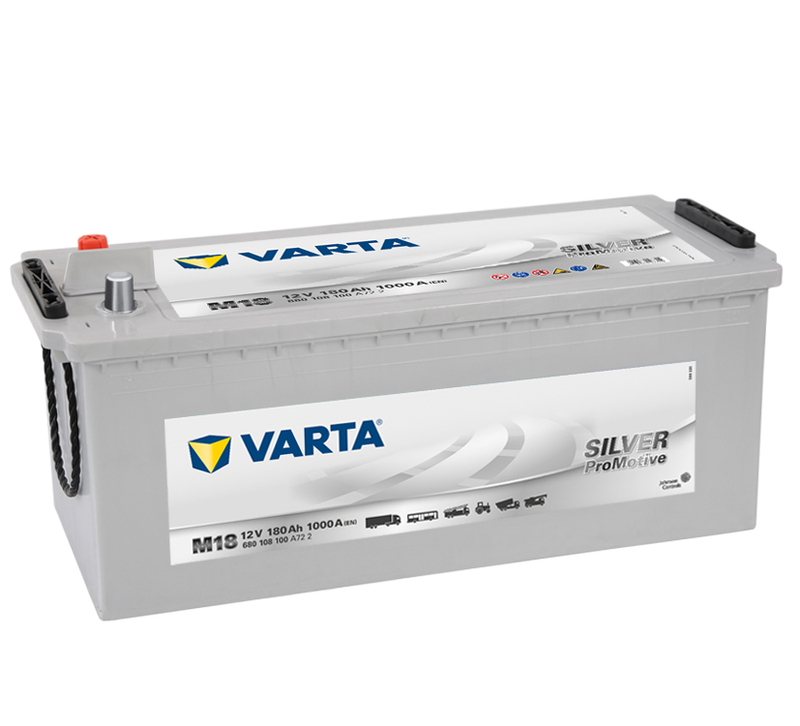 And with high levels of cyclic durability, to counteract the irregular charge and discharge patterns of long distance journeys with frequent stops, VARTA brand batteries are purpose-built to help reduce your costs. Delivery vehicles need batteries that supply maximum power for vehicle loading and unloading, even if the vehicle drives in urban traffic and the engine is frequently turned off. That's because the highest reserves in our Promotive batteries ensure equipment such as loading cranes continually perform at their best. When it comes to running a fleet of coaches, reliability is crucial especially for rapid inter-city services. Our Promotive range has exceptional power, even in the harshest weather, so you can guarantee passengers will get from A to B on time. Plus, our maintenance-free products will reduce time lost to servicing and lower your overall costs. They’ll keep your business competitive in other ways too, with extra energy for premium technology like on-board catering and entertainment. Public-sector vehicles need to be highly cost-efficient and always ready for work. So our batteries have been specifically engineered to be ultra reliable, start after start. And the longer they last, the more money you'll save overall. For buses on scheduled routes, punctuality is key. So it's important to have a battery that's 100% reliable and built to handle the high levels of cyclic strain that comes with frequent stopping. As well as less downtime, which can mean fewer passenger complaints and greater income, our Promotive batteries also provide dependable power for on-board devices including digital displays and air conditioning. When you’re running a service as vital as a fire brigade, your vehicles permanently need to be ready at a moment’s notice. A big part of that is down to your batteries and the VARTA brand is a proven and reliable power source for such highly equipped and specialised vehicles. They’ll always keep your engine fully powered up and provide extra energy for winches, hoses, two way radios and other essential equipment. Construction vehicles need to work at their best in the most difficult conditions, the most unusual environments and the harshest weathers. So they need a battery with maximum starting power combined with extreme vibration resistance and spill protection, even off-road. 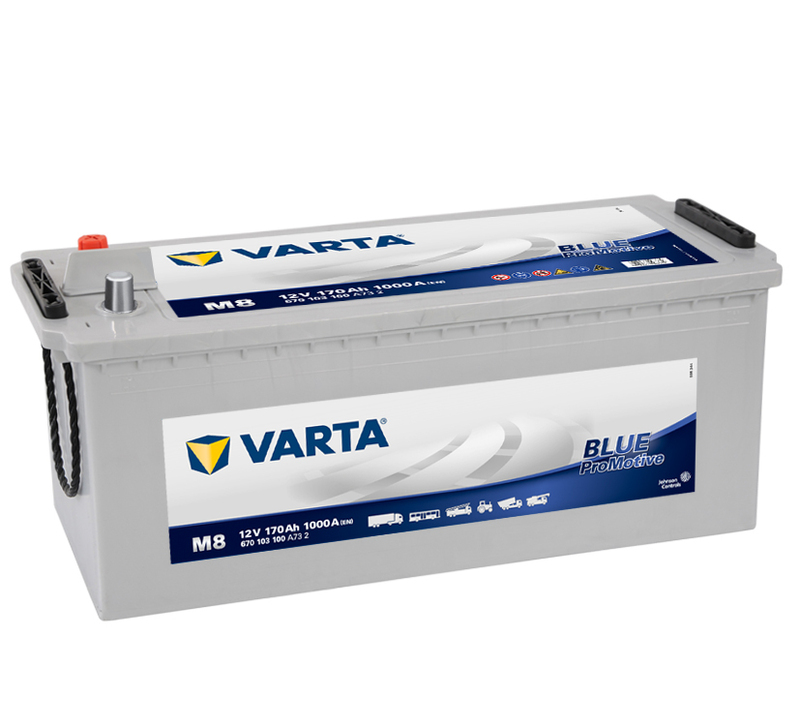 With VARTA batteries you’ll avoid costly periods of disuse and keep your business forging ahead. If you want to reap the fruits of your labours, you need more than just the right weather. You also need vehicles ready to earn their keep, even after seasonal periods of disuse. 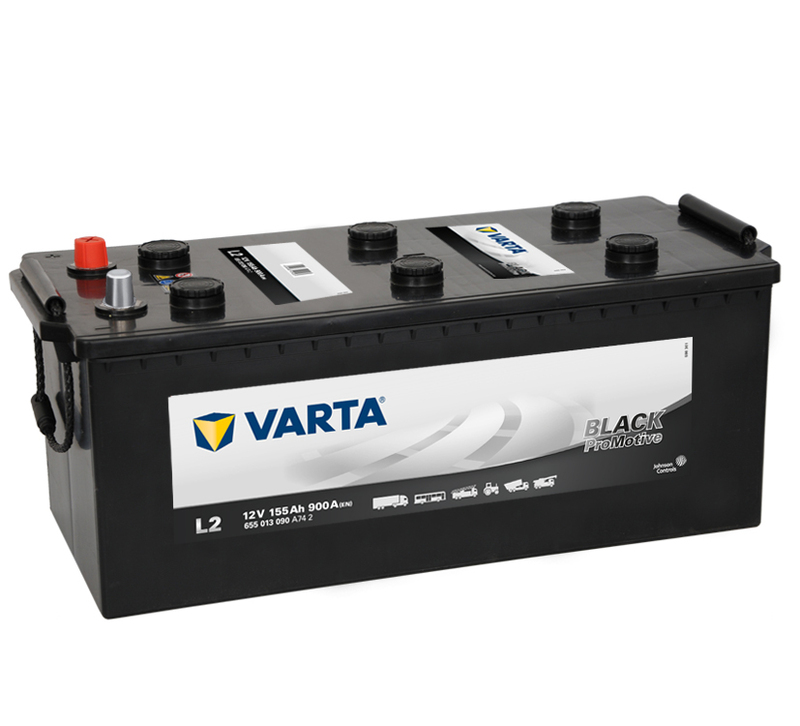 Designed for purpose, VARTA batteries have excellent starting performance and all the reserves you’ll need to power in-cab devices such as air conditioning. And as our products are maintenance-free, you’ll reduce your total cost of ownership too, season after season. Need an excellent all rounder? This versatile product covers our widest range of applications, including all agricultural, municipal, delivery and heavy goods vehicles carrying out demanding work on or off-road. And because Promotive Blue delivers the best cold starting performance for large engines, you’ll enjoy power and reliability from the word ‘go’. Extended OE technology and lowest water consumption loads to enhanced TCO savings potential. Enjoy excellent performance every day, avoiding costly downtime. VARTA Promotive Silver is the perfect choice for highly equipped commercial vehicles (HGVs) like trucks, coaches and fire engines. This advanced, zero maintenance product delivers high cyclic stability and long service life via our Super Heavy Duty (SHD) technology. The result? Significant savings for your business.